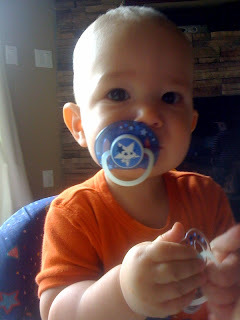 Pacifiers are such a life saver! Baby cries, binky soothes him. But oh, no! Not with this boy! Oh yeah, WEAR IT. OWN IT! Pacifiers are an accessory now! Chew on ’em! Oh boy I adore thee.